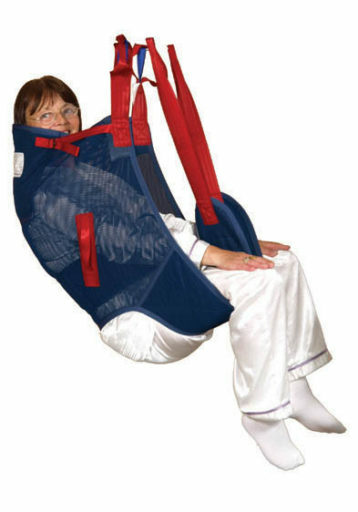 The Invacare Hygiene Sling is available in four sizes and features head support. This sling is made from mesh and enables easy removal of clothing for toilet transfers. Recommended for general toilet transfers for the less secure patient.